While most people think you need to improve your swing to shoot low scores that’s not always the case. Course management is much more important than the average golfer understands. If you look at PGA Tour players you’ll notice that they don’t have the perfect swing every day. Even if they aren’t swinging great, pros got to that level by understanding how to be expert course managers. 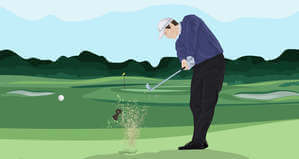 A good course strategy can help offset a bad swing by missing in the right spots and minimizing stress in big events. A good course strategy can also help minimize double bogeys and other big numbers that plague amateur golfers. But all good course management starts on the tee box. The best course management ever will only do so good when you are already miles deep into the woods off the tee. A bad strategy on the tee box makes it much harder to recover and card a respectable number. Here’s how you can get started with some course management tips from the tee box to improve your game and shoot consistently lower scores. 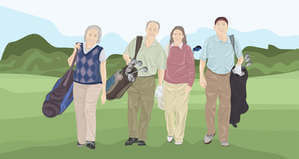 Depending on where you are in your own golf journey you might not have even thought about golf course management. But having a strategy to play each tee shot will help you shoot lower and more consistent rounds. Don’t focus on mechanics when playing. Save this for the practice tee! This will be hard for most golfers but I can’t stress how much this will help improve your game. No great round has ever happened when you are worrying about the takeaway, plane or any other mechanical swing thought. Don’t play shots you haven’t practiced. 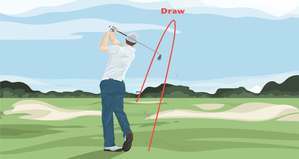 If you need a hero, high draw driver over water or a bunker don’t try it unless you have pulled it off in practice. Eliminate hero shots and you will set yourself up to shoot your lowest rounds. Stick to a routine on every shot. I’ll talk more about routines in another post but try to have consistency with your routine. The best golfers in the world have their routines down to a science. A great routine can help eliminate negative self-talk, doubt, and increase confidence before hitting a shot. A routine will also help you overcome those first tee jitters. 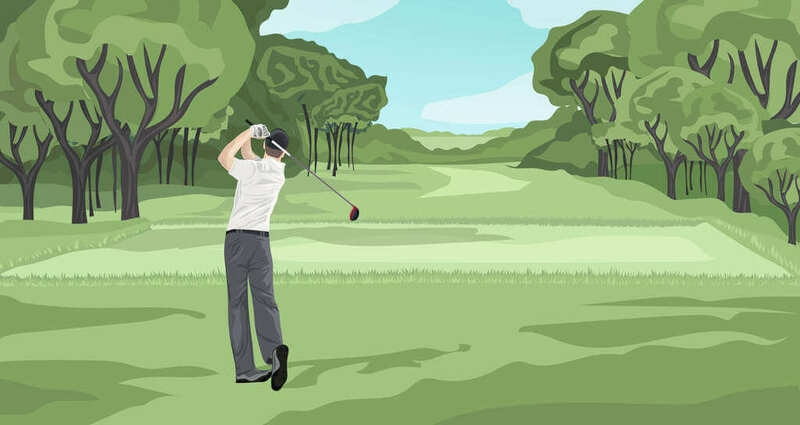 If you play a fade, tee up on the right side to allow you to start the ball off the left side of rough or fairway. 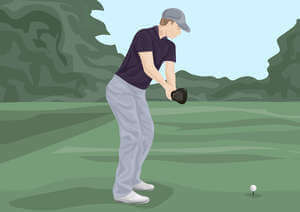 If you play a draw, tee up on the left side of the box to allow you start the ball down the right side and turn it over. Another good tip is to tee up on the side of trouble. For example, if there is a lake or deep bunker on the right side of the hole tee it up on the right side of the box. This will give you more room to start the ball on the left side and avoid trouble right. While this may seem small, it can really help open up the fairway by teeing up on the correct side of the box. Now that you understand the basics of course strategy on the tee shot, Here is a breakdown on how to play each type of hole. Statistically, par 3’s are the hardest holes, even for PGA Tour players. If you have a mid to long iron or wood into the green keep it simple and aim for the middle. 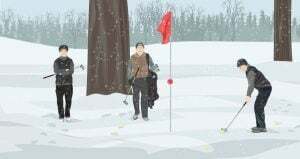 No need to go flag hunting on an already tough shot. 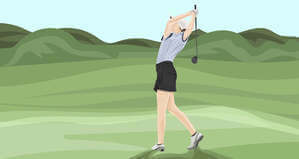 While you want to give yourself a birdie putt don’t be upset with a par, especially on a long or challenging par three. Keeping with the statistics, par 4’s should be easier than par 3’s but harder than par 5’s. Before the round, look at the scorecard to find shorter par 4’s where you might have a wedge or short iron. You can afford to be a little more aggressive on those holes. Otherwise, be okay with a par. PGA Tour pros eat par 5’s alive and you can too with good course management. While some amateurs are intimidated by the length, focus on the fact that you will have more chips and wedges into greens than any other hole. You can afford to be more aggressive on these holes as you have shorter approach shots. Settle for par but strive for birdies! The biggest takeaway from this post is that you need to commit to each tee shot. Your tee shot will set up the rest of the hole and chances to shoot a low score. Don’t ever walk on to a tee box without a specific shot and target. Otherwise you open yourself up to missing big and scoring bigger. As the round goes on make sure you don’t get lazy and forget about course management when the hole feels easy. The biggest thing is to always hit the shot you know you can, not the one you think you should! Now that you have a good framework for tee box strategy. 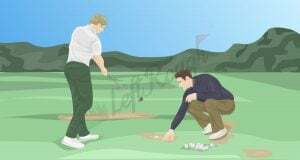 The next step in learning good course management is reading our article on approach shot strategy.